OAKLAND, CA, October 09, 2018 — Poets&Quants, the definitive online publication for business education news, has unveiled its 2019 ranking of The Best Online MBA Programs. Considered the standard for business programs, the data revealed the University of Southern California's Marshall School of Business Online MBA as the #1 online business school in the country. This ranking is the cornerstone feature of Poets&Quants' comprehensive Online MBA Hub. A one-of-a-kind resource, the Online MBA Hub offers advice, rankings, analysis, school profiles, and other tools to help students navigate the complex options available for online MBAs. Poets&Quants gathered data from both school and alumni surveys. The school survey asked for a wide variety of data, from admissions standards to global immersion trips. The alumni survey, sent to MBA graduates who graduated between 2016 and last spring, sought their impressions on a wide range of topics, from whether the program fulfilled their expectations to whether they would recommend the program to others. Join us for an exclusive livestream today Tuesday, October 9th at 9:35am PT on Poets&Quants for an interview with Dean Ellis of the #1 ranked University of Southern California, Marshall School of Business Online MBA. 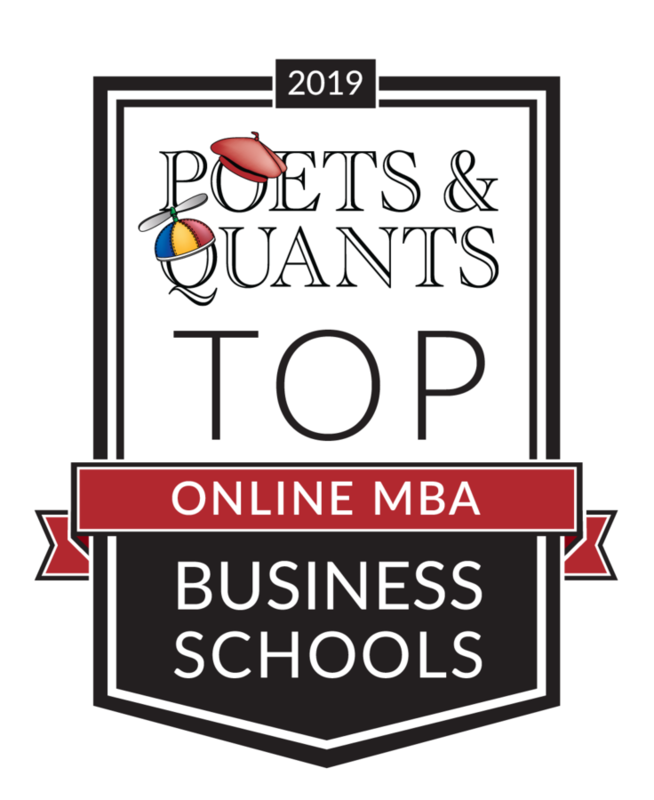 Visit https://poetsandquants.com/2018/10/09/best-online-mba-programs-2019/?pq-category=online-mba-rankings to learn more about the 2019 ranking and methodology, and to locate a specific school.